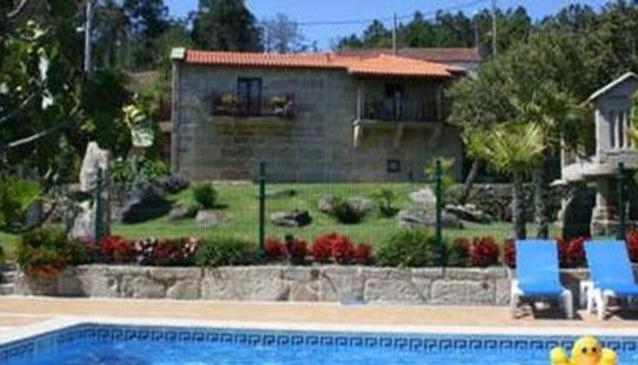 Casa Rural do Ache is situated within a quick walk to Poio town centre and features a tour desk, an outdoor pool and free parking. Equipped to ensure a comfortable stay, rooms have cable / satellite channels, a flat-screen TV and tea and coffee making facilities. The en suite bathrooms include towels and a shower. The rooms at the hotel have a refrigerator. The kitchenette includes a microwave and allows guests to prepare meals. Pazo de Cultura is within driving distance of the Casa Rural do Ache. Pontevedra Town Hall, Teatro Principal and Basilica Santa Maria are under 10 minutes away by car. Pontevedra Bullring and Pontevedra Provincial Museum are a short drive from the hotel. Peinador Airport in Vigo is a 50 minute drive away. Guests can see the local area using the hotel's bikes for rent.